The Criminal Justice System has been marred by scandal on a seemingly regular basis over the past six months. The not-guilty (but not quite innocent) verdict given to Simon Hardwood, who hit a member of the public with his baton and pushed him to the ground causing his death. This almost completely overshadowed a court decision to declare the G4S security officers who physically restrained Jimmy Mubenga while he shouted for help until he stopped breathing whilst attempting to deport him back to Angola after his asylum claim was rejected. With the Olympics approaching, a coalition made up of the armed forces, private security, police with increased powers and presence in addition to missiles and other wartime weaponry swamping the capital, communities and activists are preparing for an environment of state security never seen before on Britain soil. 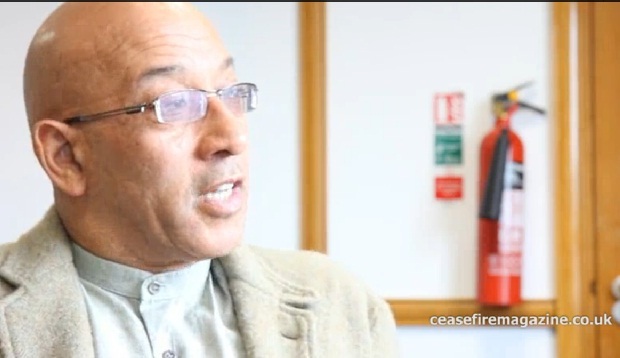 Ceasefire caught up with Peter Herbert to listen to his perspectives on how police powers are curbing civil liberties and protest, institutional and individual racism within the force and the reaction of the state following the August riots.